Our consultative, hands-on approach delivers custom solutions to ensure business productivity and client success. 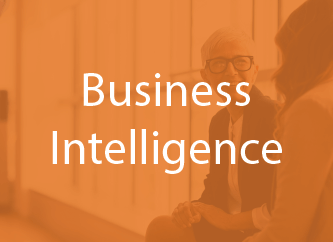 The speed of business requires flexible solutions that easily align with business objectives. 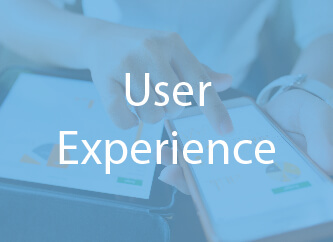 Kforce provides a wide range of engagement options to address our clients’ challenges, including Managed Services, Custom Projects, High-Volume Engagements and Consultancy Services. 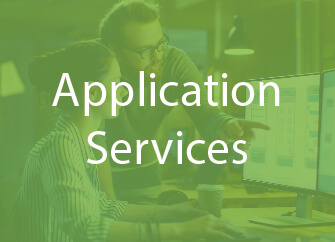 Whether performed under a Statement of Work (SOW) or as a part of your flexible workforce program, we configure our Advanced Services offering to achieve maximum value toward your business outcomes. Our managed services range from onsite resource management to full-service delivery, configured to successfully complete your initiatives. 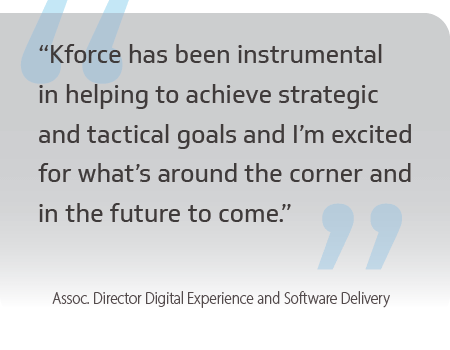 Kforce delivers strategic and consultative guidance to help clients achieve large, complex business transformations. 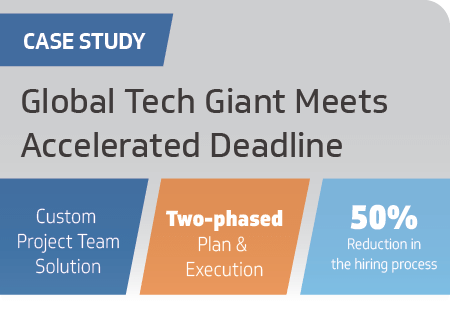 Kforce is a proven leader in efficiently acquiring talent and addressing clients’ initiatives that require a sizable number of consultants to be fully staffed within a short time frame. 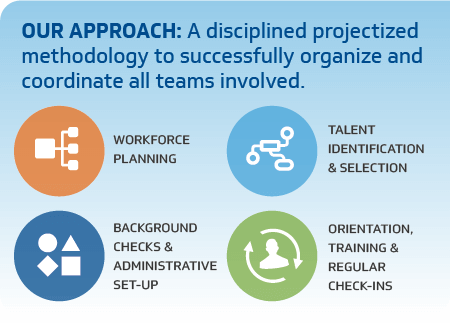 Kforce is uniquely positioned to assemble customized teams of highly-skilled professionals for client-led initiatives while ensuring internal and external compliance. Need to learn more about our Advanced Services? We are happy to help answer any of your questions. Send us a message and we'll reach out to you shortly.